Controls unwanted frequencies that blur your attack. 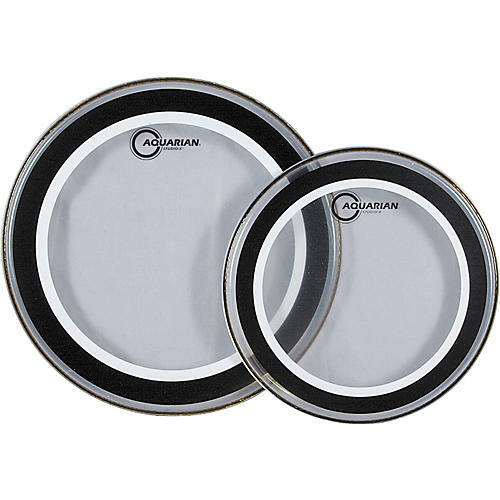 A clear, single-ply, medium-weight drumhead with a lightweight muffle ring on the underside. This helps to eliminate some unwanted high frequencies while maintaining a warm, open sound.